Good information, Ubuntu Touch and Unity 8 had some pretty neat design that should be fused with Charmander concept, Arc theme, United Gnome theme etc. Personally I think that all the work that has been done by canonical in the SURU icon theme for unity8 should be a starting point, while I think also the united-gnome theme is a quite good inspired theme, which might need some more love, but I like the idea of keeping this design alive. Here’s a quick mod I did of the current Pop theme. You can see that the text and icons are much higher contrast, and the windows properly implement a backdrop state to help distinguish the foreground window from background windows. I’m a fan of the “united theme” with suru . we don’t want to deviate from GNOME: changing behaviors or paradigms, making it looking like Unity when it’s not, and such. I think from that point the most effective is to create subgroups and start lining up something like a plan. The designers will create new mockups for the Shell, GDM, and popular applications to represents main interactions and what they look like on the GTK theme. 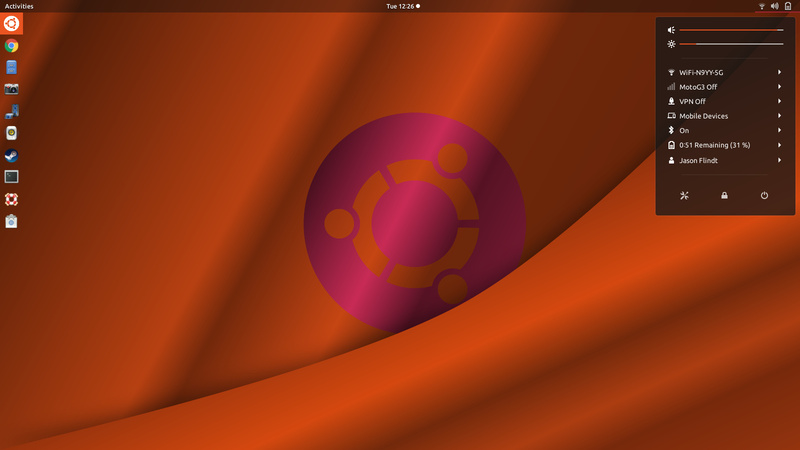 Of course, I think theme developers will help them in that regard and telling what’s possible and what is not, while we keep all in mind this should respect the ubuntu feeling and color palette. and I can give a hand there too. Of course, as I was expecting, this post has a lot of great suggestions and ideas I suggest (no punt intended :p), that we keep them going on this topic. Thus, we did create a hub subcategory available for reading to everyone, but restricted to writing for the above group (and new contributors coming along). That way, people who are just interested in seeing how the project progress can see in a concise way the advancement, and people working on the project can take into from this topic, and discuss more quietly on the other one. I have created some bootstrapping topics to get our first phase move (getting the branches up) while designers can work on the mockups. You can check them on https://community.ubuntu.com/c/desktop/theme-refresh. The icon discussion will come as soon as I get a hand on Sam I’m going with @willcooke to London in a week and half, and we will discuss with our design team to get some inputs and having them contribute as well. Of course, that doesn’t prevent anyone else to contribute as well, we’ll have PR and look at them, as a team. If I can help in any way please let me know. I am not designer, have some skills in coding. But I could be of help in testing. If I can get early access I can use the theme with an array of application (both GTK+ 2/3, Qt, Java) and see how they all stack up with the theme and report back. 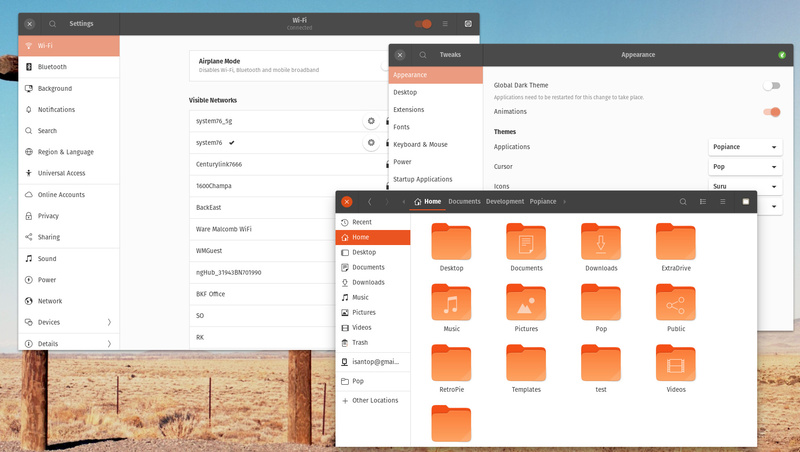 Will there be a Qt version of this new Ubuntu theme? I know there is Adwaita-Qt for Qt apps like VLC and Virtualbox. Does this adapter in 17.10? The reason I ask is VLC and Virtualbox look out of place but in 16.04 they did not. Qt uses theme engines (written in C++) to change the appearance of widgets. It also has platform plugins which are used to set the theme to match the current desktop (Gnome, KDE, windows, mac, etc), and also to provide access to the platform’s file dialogs, colour picker, etc. 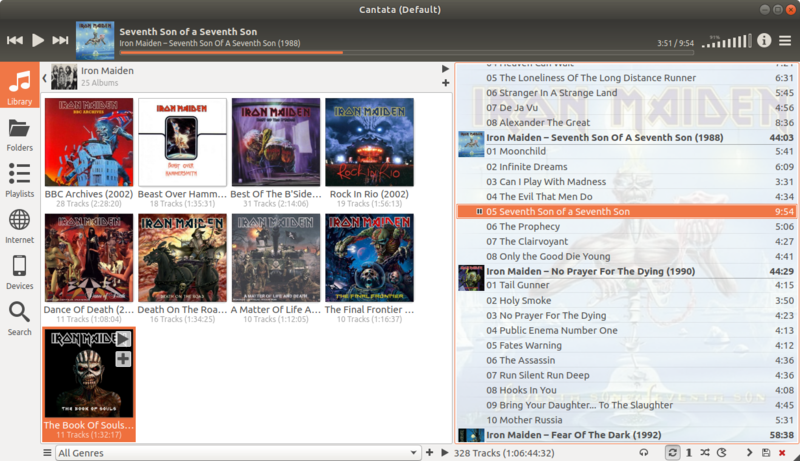 Previous Ubuntu releases used QGtkStyle for the theme. This used Gtk2 to paint into pixmaps, which were then drawn where the Qt widgets would be. This was never that good - arrows in scrollbars were sometimes missing, or not drawn correctly. For the platform plugin, there was a dbus menu plugin to export a Qt app’s menubar to the global menu bar, etc. Again, this had issues where it always drew menu icons for Qt apps. Fedora currently use the Adwaita-Qt theme engine - which is a C++ engine specifically mean to mimic Adwaita. They also use the QGnomePlatform platform plugin - which tries to locate a Qt theme that matches the current Gtk theme (it can use Adwaita-Qt for Adwaita, and Kvantum for others). This platform plugin also provides access to the Gtk3 file dialogs. To provide a Qt equivalent for whatever Gtk3 theme is chosen, should be a matter of providing a Kantum config and SVG file for this theme. (I’m 99.99% sure Kvantum’s author would be more than willing to help). The QGnomePlatform should also be used so that Qt apps automatically pick up a matching theme for the user’s Gtk theme. Although I’m not a designer I’ve collected some experience creating both the (Plane icon theme) set and the theme (Plane GTK3), both of which are still in development. With the icons in “SVG” I have had better results, besides anyone in the community could adapt them to their needs, it is good to have different shapes and contrasts because it helps to identify them easily, so I am not a fan of Flat-design. It is very important to have a version of each icon for each resolution (pixel perfect) even if they are in “SVG”. In the theme that I’m currently doing, I’m avoiding using images, creating all styles only with CSS, this helps the community a lot when it comes to generating color variations. Hi all, thanks to everyone suggesting my Suru “reboot” for the new icon theme, it looks like it’s going to be the new default. That would be great if Suru is default, thank you for all your work on it, I loved Suru icons on my Ubuntu phone and seeing it on the desktop would be even better. Speaking of the Suru icons, maybe you already inherited this work, but yesterday I managed to include the work that Matthieu James did before leaving in the mailine ubuntu-themes (@rodrigostucker you might give a look to that). At least for the record. So, please sync with that in case the community choose such icons as a starting point. I have actually already used some of the work in that branch as a basis for the rebooted Suru icons. I was always following along with the development of the icons It’s where I got the folder concept. 'Another caveat is that the icon set does not include replacement icons for third-party apps like Firefox, Thunderbird, Spotify, Skype, etc (neither does Ubuntu’s current icon theme, Humanity). You can’t make Suru icons for every third-party app, so how can this be made less jarring aside from making icons for as many third-party apps as possible (maybe this is the only possibility)? Also, do the custom icons apply to snaps as well? Maybe worth checking and communicating on the snapcraft forum if necessary about that issue? The best option would likely be to make Suru icons for popular third party applications like Dropbox, Viber, Skype, Telegram and some others. I dont know if that infringes any copyrights, but I know that Numix icon theme for example includes Numix icons for many third party applications though Numix is not usually present on iso disc images of Linux distributions. If having third party applications icons on the iso infringes any copyrights perhaps there should be an Suru icon pack extension the users install with ubuntu-restricted-extras or a separate package? Maybe include it in installation meta-package under “Download Third Party etc” so that users download it from the Internet during installation as opposed to including them on the iso. Or if that cant be done then I guess the easiest way is to include suru-icons-extra package or something we can install to get those Suru icons for Viber etc. It is probably impossible to cover all third party applications, but most popular ones like Dropbox, Viber, Skype, Telegram, Chrome, Opera etc should be included, there arent too many of those compared to basic icons for applications from Ubuntu repositories which are far more numerous. Well @ads20000, Joey is entitled to his opinion. But the fact of the matter is that third-party application icons are brands and, like it or not, it’s not a software vendor’s place to override branded icons. Logos like that of Firefox, etc. are copyrighted images and to modify and ship altered versions of logos would be an infringement on their copyright. One may have the opinion that it’s “jarring” but desktop Suru has been designed with the Tango/FreeDesktop icon spec in mind so that it doesn’t look completely out of place.